The brain is an incredible organ; one that still holds many mysteries that medical professionals and scientists have yet to discover. A brain harm can be devastating, resulting in permanent effects that can have a wide variety of effects on the victim. Brain injuries can lead to many different effects, from issues with movement and coordination, to profound personality changes, memory problems, difficulty concentrating and learning, trouble speaking (or a total lack of the ability to speak) and much more. A brain injury can arise from many different scenarios, including a car accident, a fall, a medical malpractice incident, a near-drowning, an assault, and anything else that causes trauma to the body. While sudden impacts (such as the impact in a car accident) is perhaps best known as a cause of brain injuries, they can also result from any other trauma or incident whereby the brain is starved of oxygen. The attorneys of Tuley Law Office deal in a range of personal injury lawsuits, including cases involving brain injuries. 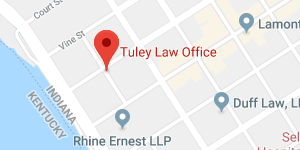 Founded by Attorney Daniel Tuley, who has over 30 years of legal experience, Tuley Law Office serves clients throughout Evansville, Indiana. Brain injury attorneys are standing by to discuss your case, so if you or a loved one suffered a brain injury, contact Tuley Law Office for a no-cost consultation session at (812) 434-1936. Brain injuries are amongst the most serious type of injury a person can suffer, because a brain injury can impact every part of your body and your life. The personal injury lawyers of Tuley Law Office get lots of questions from brain injury victims and their loved ones, as they seek to secure compensation to help cover past, current and future expenses stemming from the injury. Let’s look at a few of the most common inquiries that we receive. Why Are Brain Injury Lawsuits So Complex? A brain injury lawsuit can be very involved and complicated due to the complex nature of this type of injury. Each brain injury is unique, and each person is affected in a different way. In some cases, rehabilitation may be possible, enabling the victim to reclaim some or all of their lost abilities. In other cases, the brain injury may be so profound that no degree of rehabilitation will bring about progress. Brain injuries are very complicated because they can affect a person in many different ways, from impacting your emotions and behavior, to affecting your motor skills and your ability to think, remember and learn. Therefore, the losses that a person suffers vary greatly from case to case. Medical malpractice and personal injury cases, including those involving brain injuries, require help from medical professionals who can provide expert opinions on the case. This expert testimony is critical for establishing the medical facts in your case. This adds another element of complexity to the legal claim. 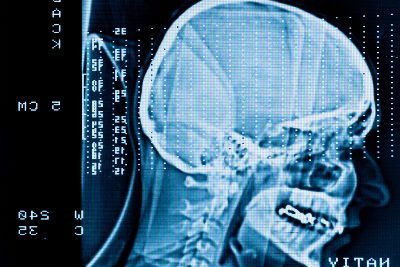 What Type of Compensation Can I Receive When Filing a Brain Injury Lawsuit? A brain harm lawsuit is a process for securing the compensation that the individual needs to get the medical care they need, along with covering other essentials, such as cost of living expenses if the individual is injured to the degree where they cannot work. 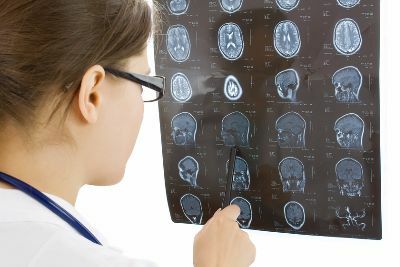 Brain injuries can have a profound, life-long impact on the victim, making these cases quite complex since your attorney will need to calculate how much the brain injured person will need to cover future medical expenses, physical therapy costs and living-related expenses (amongst other things.) It takes an experienced personal injury lawyer to accurately calculate these future costs, as you must consider how the patient’s condition may evolve, while also considering inflation and other variables. Brain harm victims can also qualify for other types of compensation, like compensation for pain and suffering and loss of consortium. Can You File a Lawsuit for a Brain Injury at Birth? Yes, it is possible to file a lawsuit for a brain injury that occurs during the labor and delivery process. When most people think of a brain injury, they think of a car accident or other traumatic event. But brain injuries can occur in other circumstances as well. Some cases may arise as a result of medical malpractice. One of the most common scenarios that fit into this category involves birth injuries, which can arise if a baby is deprived of oxygen during the birthing process. Some of these cases involve malpractice, whereby a physician did not take the appropriate measures during the birth, resulting in the brain injury. These cases can also be very complex, since your attorney must obtain expert medical opinions on your case. The brain injury attorney is also tasked with accurately determining a dollar figure for the future expenses the child may incur as a direct result of the brain injury. How Much Does It Cost to Hire a Personal Injury Lawyer for a Brain Injury Case? The brain lawyers with Tuley Law Office usually accept this type of case on a contingency basis, meaning that the legal fee is typically taken from the compensation that is secured for the client. There is usually no up-front retainer fee for a personal injury case. The exact percentage taken from the financial award or settlement varies depending upon whether the case proceeded to trial or settled out of court. The attorneys at Tuley Law Office are committed to helping brain injury patients get the compensation they deserve for their past, current and future losses. If you or a family member has suffered a brain injury, turning to the right Indiana personal injury attorney can increase your chances of seeing fair compensation. Here at Tuley Law Office, we will guide you through the process of filing a brain harm claim so you can secure the financial compensation necessary to get the care you need and to live the best quality of life possible. Contact the Evansville brain injury lawyers with Tuley Law Office for a confidential, no-cost case consultation session. Call (812) 434-1936.